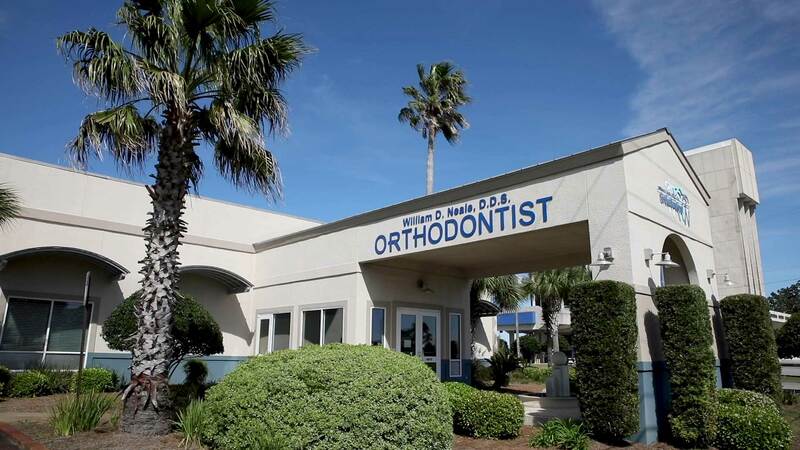 Since beginning orthodontics practice in 1987, Dr. William Neale has wanted to make a difference in people’s lives by giving them a beautiful, healthy smile that lasts a lifetime. He feels fortunate to be in a profession that he is so passionate about, and in which he has the opportunity to serve the community where he grew up. At Neale Orthodontics, we do more than create smiles; we transform lives! Straight teeth improve oral health, decrease strain on the jaw, and yes, give people beautiful smiles that improve confidence and self-esteem. We’d love to help you transform your smile — and your life! Dr. William Neale and our team members have been helping our friends and neighbors achieve their beautiful smiles since 1987. We enjoy building relationships with patients: knowing each by name and looking forward to visits as a time to catch up with a friend. Please contact our Fort Walton Beach or DeFuniak Springs, FL office for more information and to schedule a complimentary consultation for your child or yourself. The sooner you call, the sooner you’re on your way to a lifetime of beautiful, healthy smiles you’ll share with confidence. Call us today!